I adore this time of year, the activities, family get together, Christmas music… I love it all! Also the decorating! 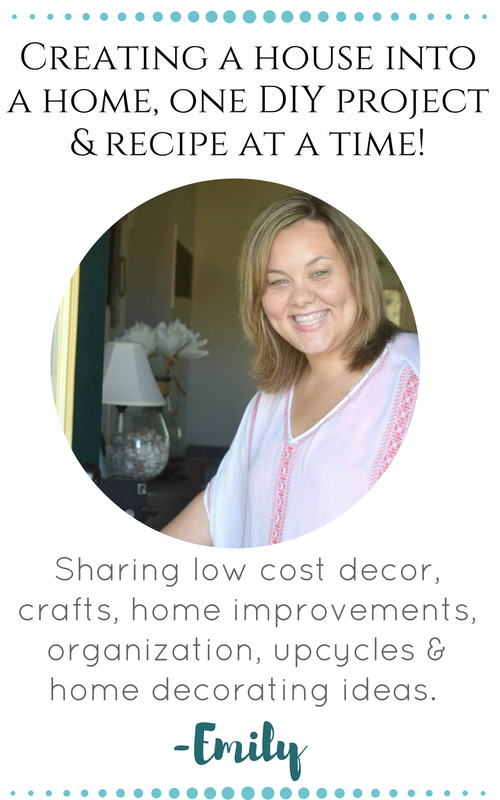 There is so much magic this time of year, and making your home match that magic is one of my favorite things. With my crew of littles, they get into the season. 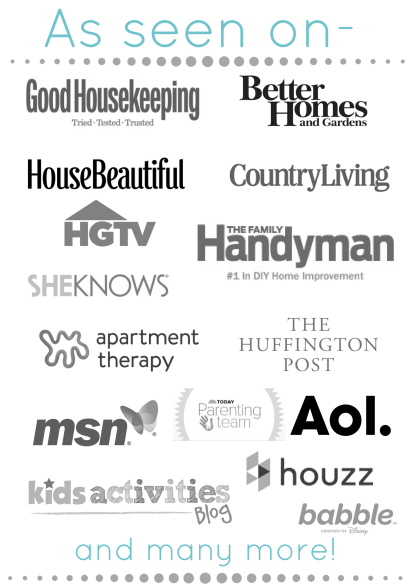 Having my home reflect that joy, fun, and merry feeling is something I love to do. Today I am sharing yet another Christmas craft. I am pretty much going to be sharing a craft pr projects every day until Christmas. I did that much crafting lately. 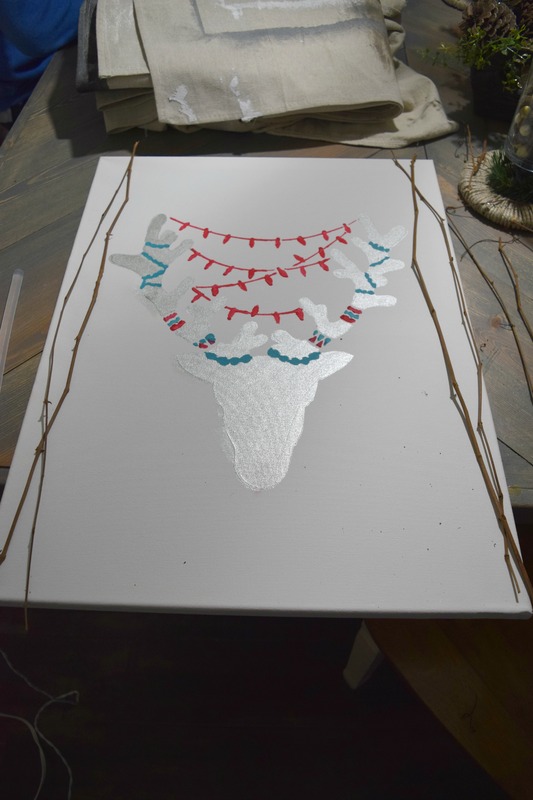 Today is is all about the rustic reindeer canvas art. 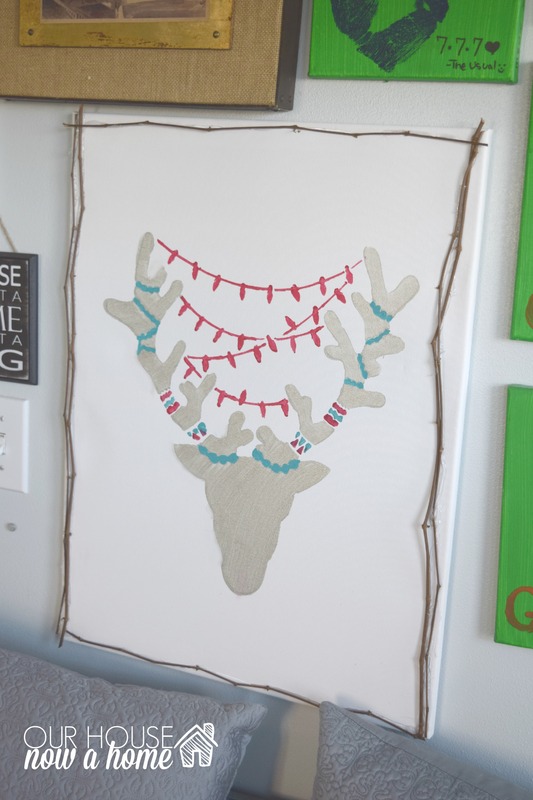 Along with this fun Rustic reindeer wall art I am taking part in another home decor challenge. This is part of the Create and share series that I have been doing once a month. A talented group of ladies get together and create something. I love seeing the varied outcomes of these challenges. This months is no different. 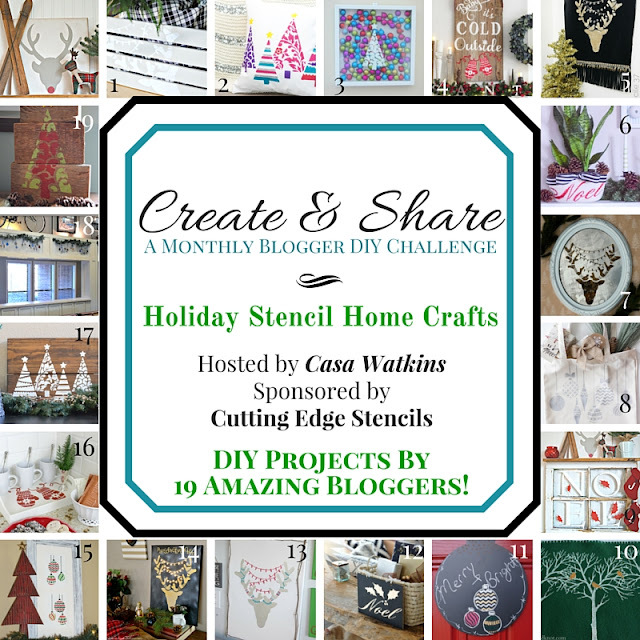 We collaborated with Cutting edge stencils to bring you this amazing challenge, tons of inspiration and a giveaway! Yes, I just made your day. 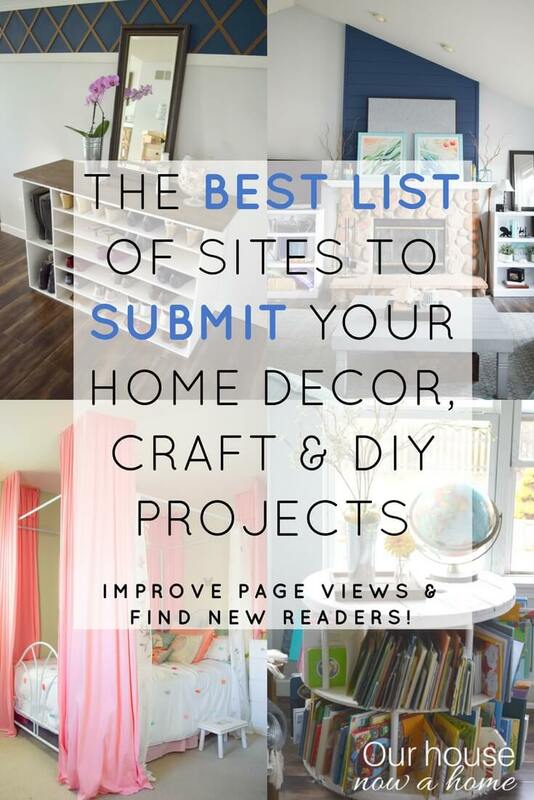 All of the links to see the other bloggers projects and the information for the giveaway are at the bottom of this post. For now I get to share with you what I created. This is my second time working with Cutting Edge stencils, the first time I created a spider pillow. 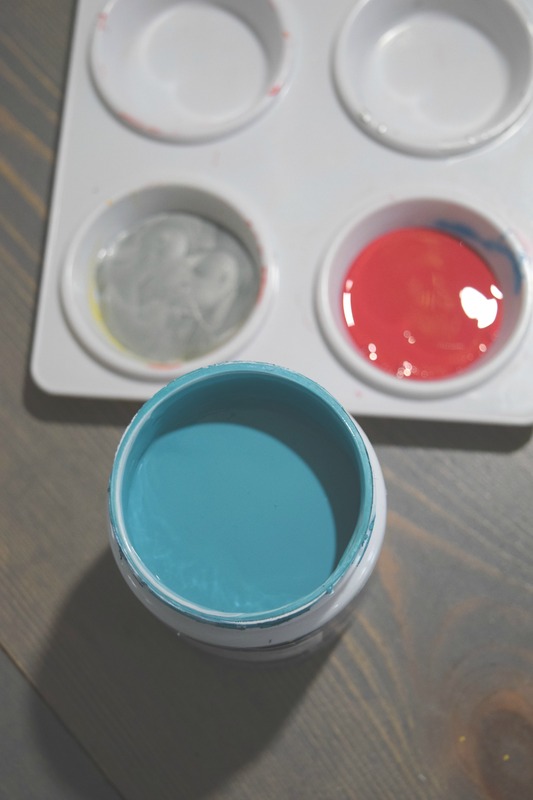 I loved the process of using their pillow kit. This time around myself and the other bloggers are all about the Holiday cheer. 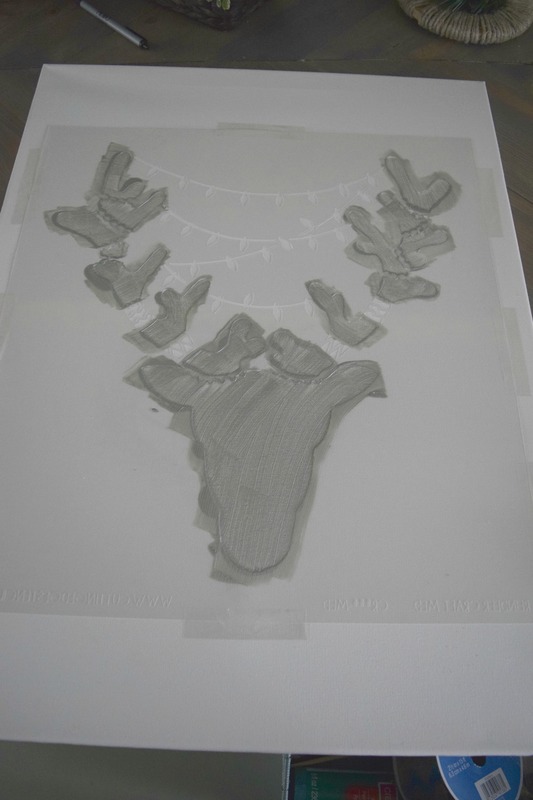 I selected this great reindeer stencil. I knew I was going to create a wall art piece with this. However I was originally going to put this on wood pallet. 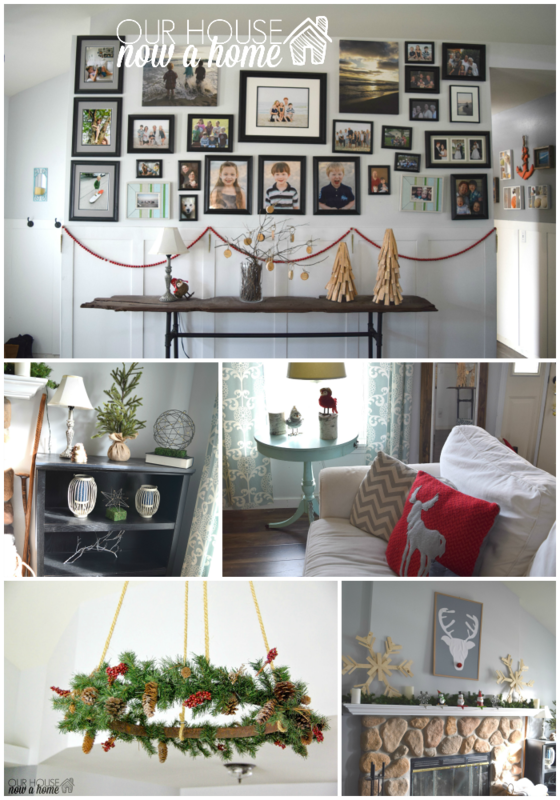 I decided against it because a lot of my Christmas decor has a rustic feel with a fresh and light edge to it. You following me yet? I thought the wood pallets would be a little too rough for this look. I decided to use a blank canvas instead. Keeping the look minimal and letting the stencil speak for itself. Because I knew that the overall look of this would feel light and airy, I knew I could use some pops of color. I decided to go with a teal, red and gray. I thought it was a little twist to the standard Christmas colors. 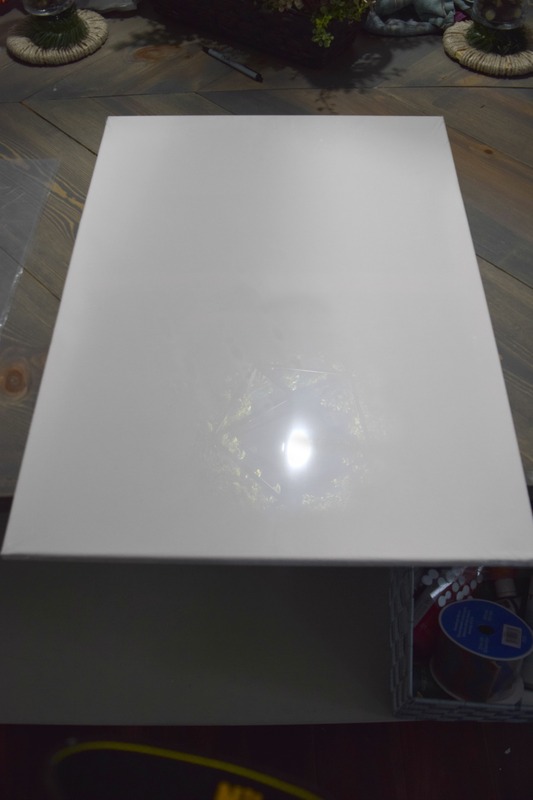 I set the stencil in the center of the canvas. 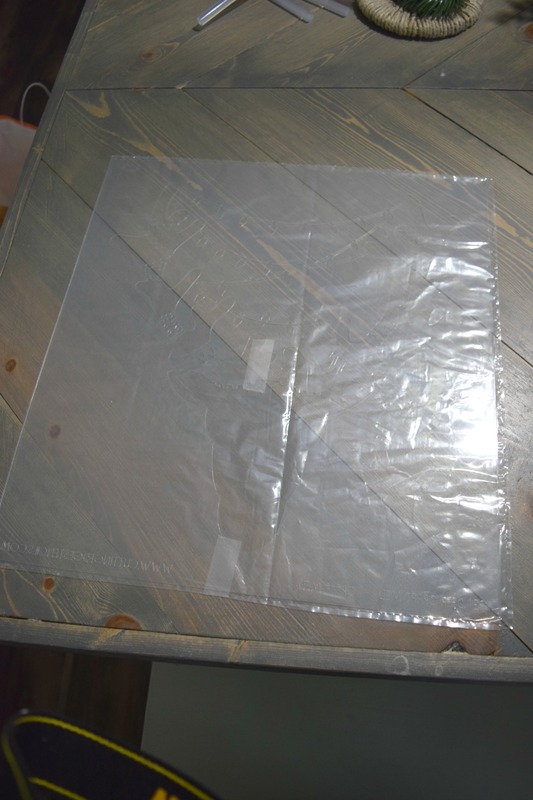 Taping the edges down so it would not move around. Then I used a sponge paint brush for this portion of it. 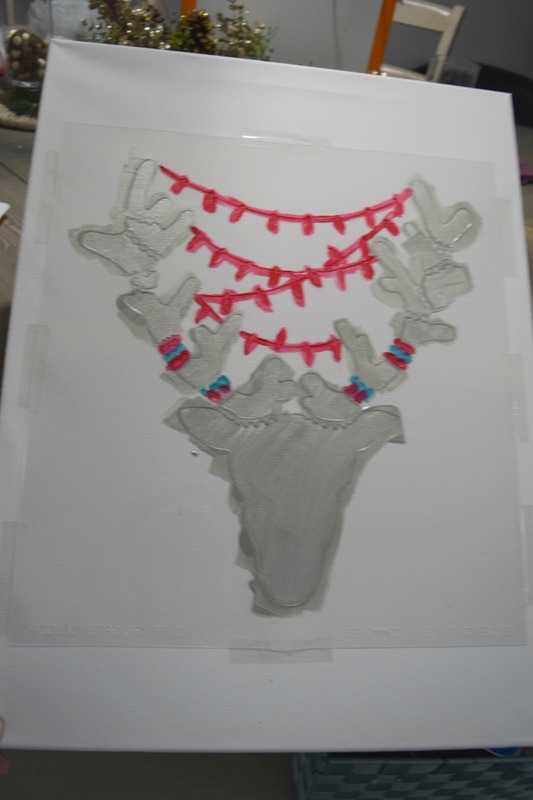 I put the light gray on, making it be the color of the reindeer itself. Dabbing on and then blending in. I did push down the corners in a few spots while I was dabbing the paint on. I loved the way it looked up to this point. I admit stencils are still something I cam getting used to. But Cutting Edge stencil makes great quality ones to get my learning on with. I finished off the stencil mixing in the teal and reds. Once I knew it was dry I removed the stencil and was ready to add just a little something to this. I wanted to bring the rustic into this a little bit. I had these twigs in my craft supplies. I cute them down to size, placed them where I wanted them to go. 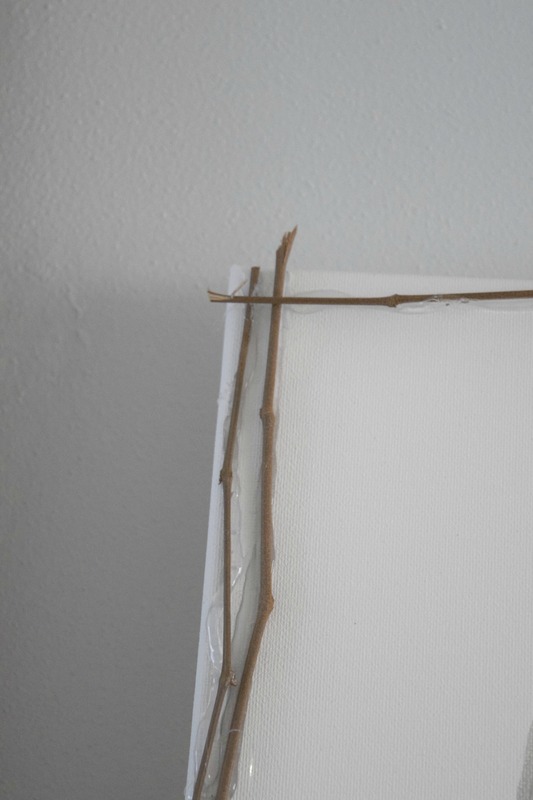 Then put a line of hot glue onto the canvas to have the sticks lay and adhere to the canvas. I created a little twig frame. It added just the pop or dark color and rustic that was needed for this to work. I really like mixing dark and light with colors. Having the art piece mainly light with the pop of dark twigs warms this up and makes it feel ready for the Christmas season. I took down a few pictures on this gallery wall in our study. Putting this and a few other key pieces. 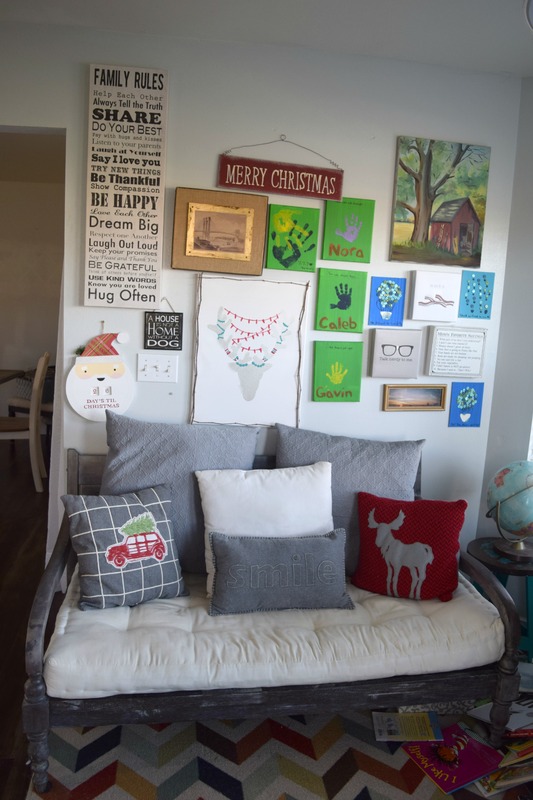 Now this gallery wall has transitioned perfectly into feeling very Merry! If I were to do one thing different it would have nothing to do with the stencil itself. I love how it turned out and the colors I used. I would however add a few more twigs to the frame. Bulking it up a little. I like using the standard red of Christmas and mixing it with a teal. 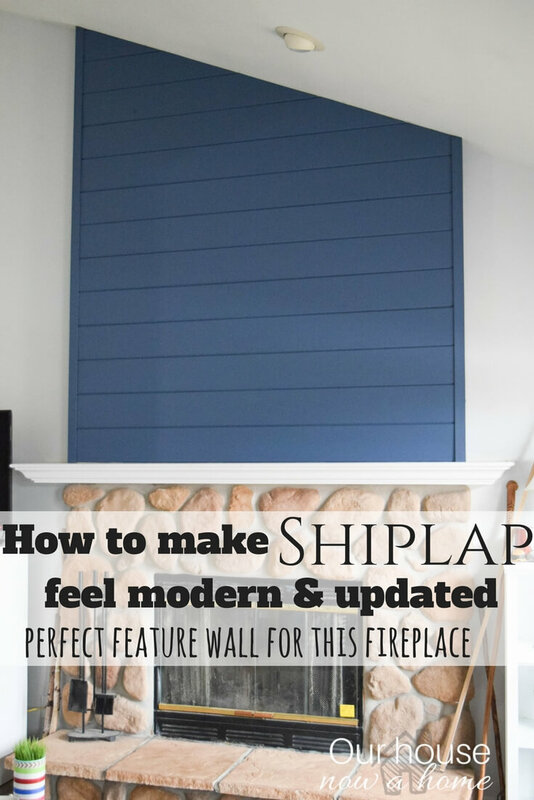 It makes the project feel fresh and updated right away. This is not your Grandma’s reindeer art. I mean not yours, my Grandma has her whole house in coastal chic decor with a ton of teal. She is awesome like that. Not that your Grandma is not… ok guys… it was just a figure of speech! 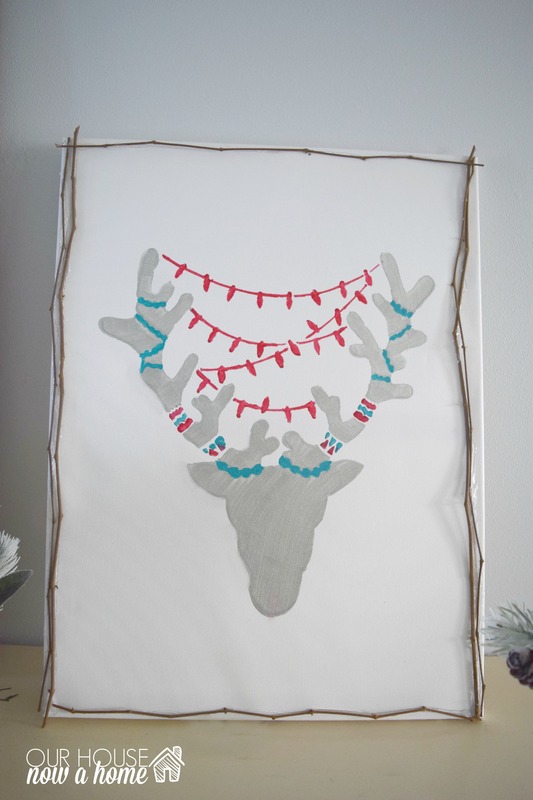 This rustic reindeer wall art is yet another craft I get to add to my Christmas decor. With the teal it also has a fun feel to it. Making this space feel casual and of course whimsical. I love the whimsy feel this time of year. My kids did have one critique, this reindeer does not have a red nose. Apparently my kids do not hear that there is a whole group of other reindeer’s before Rudolph gets claimed. My kids see red, red nosed Rudolph and that is it! 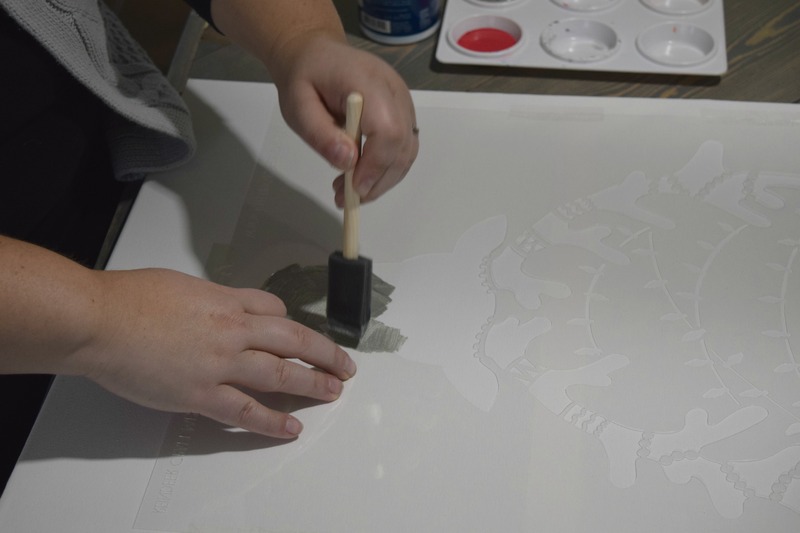 I am so excited to see what stencil everyone else picked and what they did with it! From the picture it seems that we all have unique ideas for the stencils. Don’t forget to go and visit theirs. Also enter for a chance to win a stencil of your own!!! 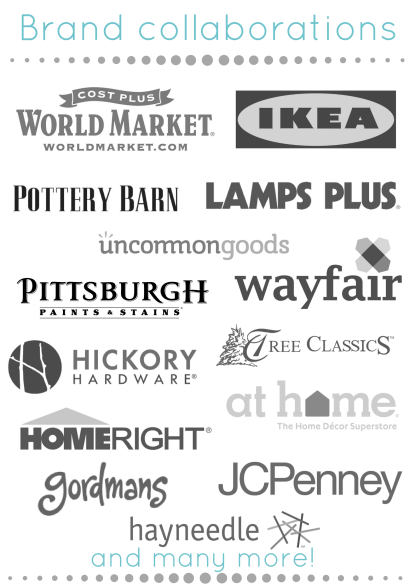 Enter to win, a total of 5 winners will be chosen! What stencil caught your eye? What would you have done with this stencil? That’s so cute Emily! I love the addition of the twigs!!! Your reindeer turned out great!!! I love seeing what others did with their reindeer. Adding the twigs was a great touch. Thank you! I like seeing that a few picked the reindeer but everyone did something very different. 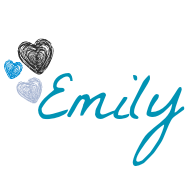 Hi, Emily ~ This is so fun! I like the colors and the sticks as a frame. Such a great project! Very cute Emily! 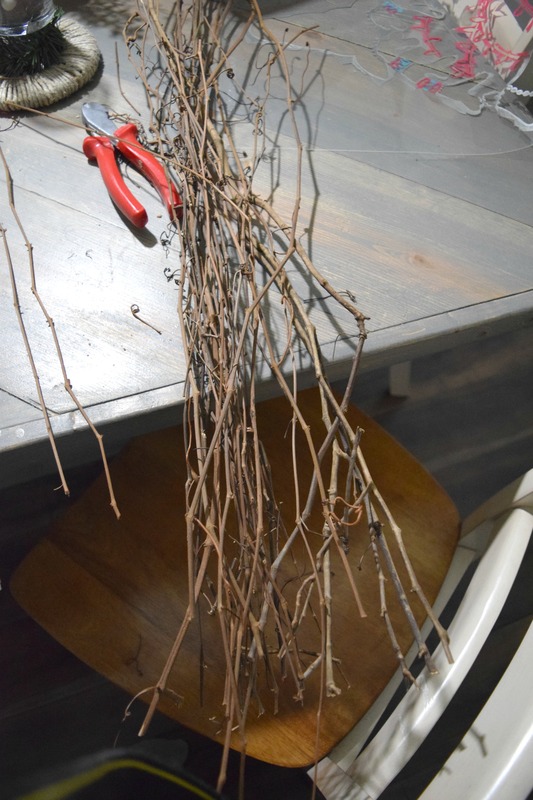 I love the twigs, great idea! Have a wonderfully Happy Holiday! Cute idea Emily! I love the twist on the classic Christmas colors and the twigs are really cute! Pinning! Thank you! I had never used these colors as Christmas colors but love the combination of them. I lvoe what you did and it’s neat how so many others chose to do such different things. Thank you so much! It is great to see what everyone else did and how they are all so different from each other! 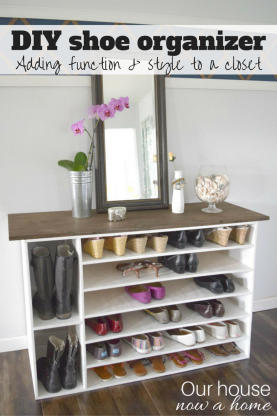 What a fun way to give it a little character by adding the sticks! Fun! Looks great! I l love how you added the twigs! 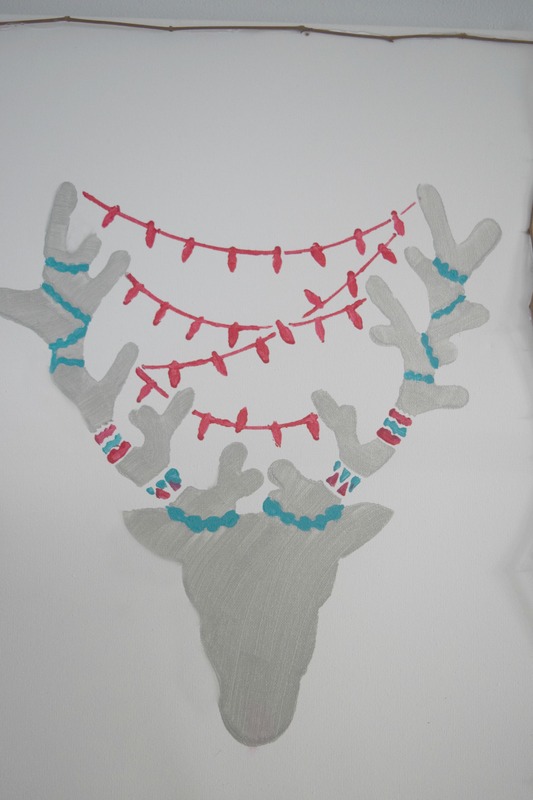 Your reindeer turned out so cute! Love the colors you chose, and the twig frame is really unique. Too adorable! I love it and I love all of your personal touches! Super cute Emily!! Loving the soft colors. The branches are a surprising twist and make it stand out. Great for winter! Love the metallic and the twigs! So pretty and cute. This really turned out great!!! The wall as a whole looks fantastic. 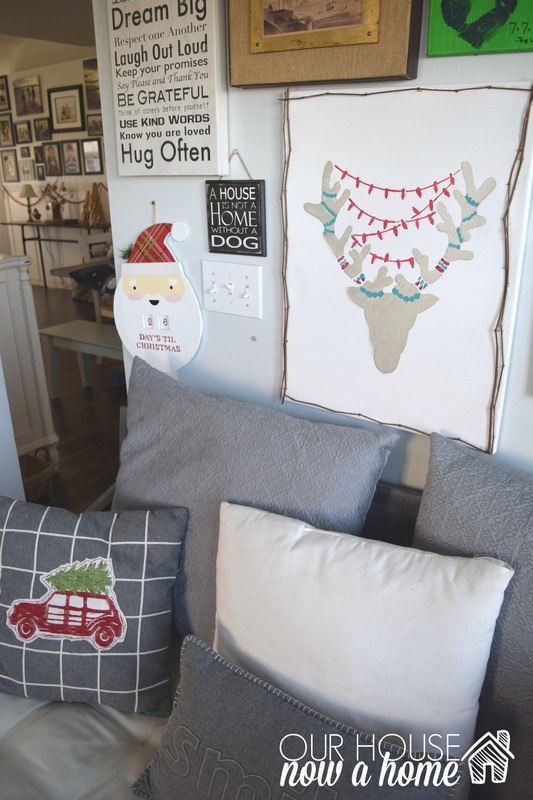 I loooove those holiday pillows! I’m so excited to see how fast this challenge is growing! I’m so glad you’re a part of it!! xo!